Romantic getaways are the perfect opportunity to spend time with your loved one and visit a beautiful destination together. 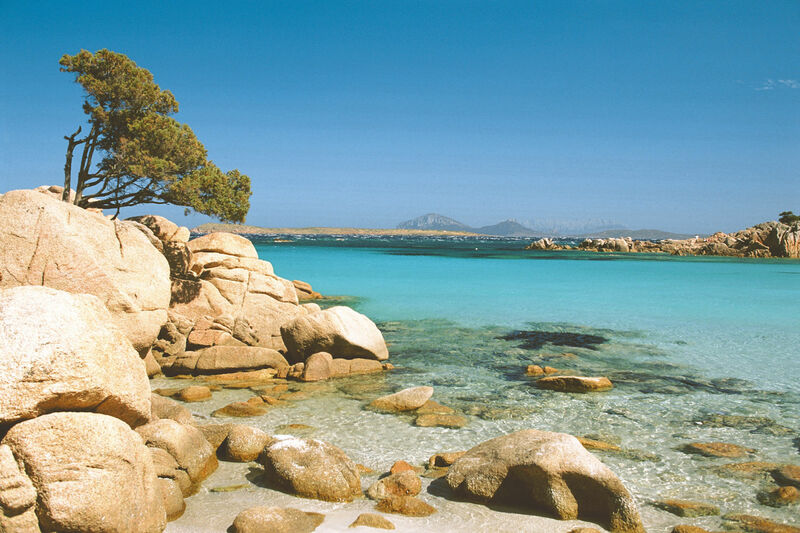 Whether it is a spontaneous or planned trip away, honeymoon, anniversary or even perhaps to pop that special question, Sardinia is the place to visit. As no one conveys ‘amore’ like the Italians, what destination could be more perfect? The stunning surroundings, splendid food and wine are sure to make you fall in love with the destination as well as each other. All in all luxury holidays to Sardinia are a great opportunity to fall in and grow your love. Our top reasons to visit Sardinia on a romantic getaway have to be the exceptional hotels, wonderful beaches, excellent food, drink and numerous activities and places to visit to enjoy together. Boasting numerous white sandy beaches and azure waters you can find the perfect spot to relax and swim. Sunning yourselves on the sand and dipping yourself in an out of the warm sea is the ideal scenario for you and your partner to unwind, and enjoy each other’s company. You will be spoilt for choice with so many glorious beaches in both the north and south of the island. There is the quiet beach of Capo Spartivento in the south or, the national Sardinian monument of Cala Goloritzè, a beautiful bay that is only accessible via the sea. For those who are more active, watersports are in abundance with prominent winds and the warm temperatures of the Mediterranean Sea. Sardinia is known as one of the top watersports destinations in the Mediterranean with many of the activities wind-based including, surfing, windsurfing, sailing and most recently, kite surfing. 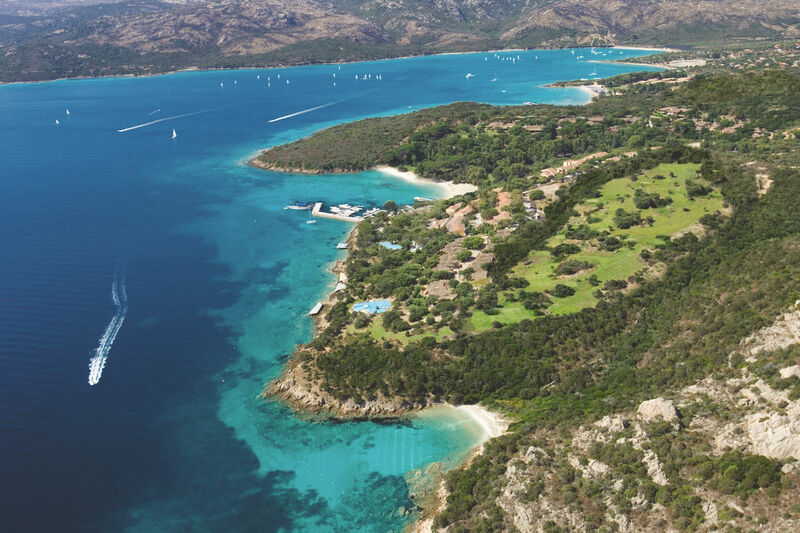 For both beach-lovers and watersports enthusiasts we recommend heading to the resorts near Porto Cervo such as, Golfo Aranci and Cannigione in northern Sardinia. The coastal area of Costa Smeralda is sure to impress with its sophisticated and exclusive atmosphere and the impressive town of Porto Cervo. There is a plethora of fine dining options with elegant restaurants and cafes offering spectacular views of the coast. Why not treat yourselves to some delicious Sardinian cuisine, such as the local speciality of porchetto otherwise known as suckling pig, over a glass of Mirto followed by Limoncello. If you are one for a little adventure I suggest edging away from the coast to hike, walk or stroll around the delightful countryside, traditional towns and villages. Or aboard the little green train (Trenino Verde) which will take you from from Palau to Tempio, Bosa to Macomer and Arbatax to Mandas showing you the best of Sardinia’s beautiful landscape. Equally why not hop onto a ferry across to Corisca to spend time on this exquisite French island. If you are after somewhere a bit quieter and more secluded, then catch a boat to one of the islands of archipelago La Maddalena. Southern Sardinia is home to the island’s capital Cagliari, ideal for those looking for a romantic city getaway. There are plenty of vibrant restaurants, bars, cafes and numerous shops. The medieval old quarter of Castello with its cathedral and watchtowers will make for a wonderful morning or afternoon stroll. There are also beautiful sandy beaches for those wanting to relax and enjoy the sun after a day around the town. Sardinia is home to some of the most luxurious hotels in the Mediterranean offering Sardinian charm, sophistication, luxury and excellent service. Whether you’re staying the north or the south you will be sure to stay in style, luxury and comfort. 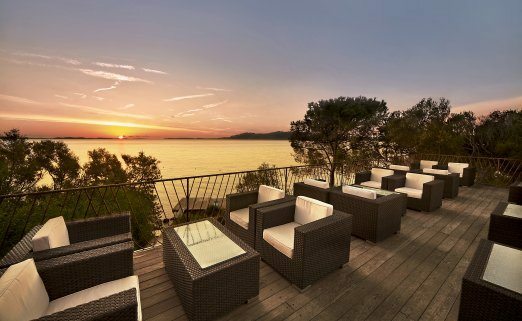 If you are looking for somewhere special to take your loved one then I would recommend the five-star Hotel Capo d’Orso Thalasso & Spa located in Cala Capra Bay, four kilometres from the town of Palau in the north-east of the island. This exclusive hotel is surrounded by stunning beaches and offers fantastic facilities, high quality service and outstanding dining. With breakfast served to the calming sound of a harp what could be a more romantic start to your day? There are two beaches by the hotel and a private marina offering boat hire and boat excursions. If you simply wish to relax then why not spend some time together in the Thalasso and Spa wellness centre. What is the most romantic place you have ever been? Share your memories with us on Facebook.